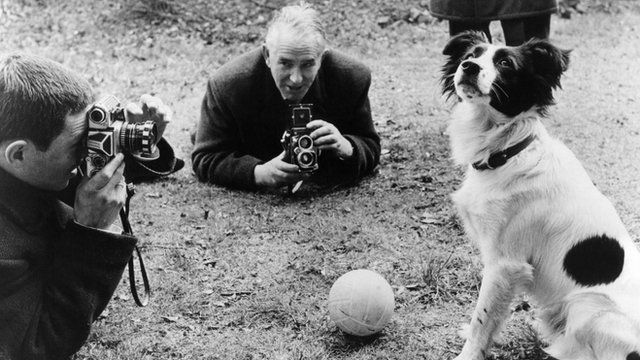 Pickles: Dog that found stolen World Cup Jump to media player The story of the dog that saved England's blushes by finding the 1966 World Cup trophy after it was stolen from an exhibition in central London. The worst crash in aviation history Jump to media player In March 1977, two jumbo jets collided at Tenerife Airport killing 583 people. Captain Robert Bragg was one of the lucky survivors. The 'Queen of Chess' who defeated Kasparov Jump to media player In 2002, Judit Polgar became the first woman to beat then world champion Garry Kasparov. Shuttle disaster: 'Something didn't look right' Jump to media player In January 1986, the Space Shuttle Challenger was destroyed soon after take off, killing all on board. A member of the backup crew recalls the events of the day. Why did 918 people die because of this man? Jump to media player In November 1978, US cult leader Jim Jones ordered his followers to kill themselves. The man who discovered Harry Potter Jump to media player In 1996, the first book in the Harry Potter series was released and a publishing phenomenon was born. In 1966 host nation England won the football World Cup. But the national team very nearly had no trophy to raise after triumphing over Germany in a memorable final. In the run-up to the tournament, the cup was on display in central London when it was stolen from right under the noses of a round-the-clock police guard. The police investigation into the theft quickly turned to farce with a flat-footed Scotland Yard failing to find the cup. A dog called Pickles put the police to shame when he sniffed out the missing trophy while on his daily walk. Owner Dave Corbett recalls how he and Pickles became national heroes for returning the Jules Rimet Trophy to its rightful place. Witness the stories of our times told by the people who were there. Witness can be seen on BBC World News over the weekend of April 8th and 9th at these times.